Brian Harbin teaches you "How to Sell". Would you spend $3,500 dollars for 2 years of domain renewals? 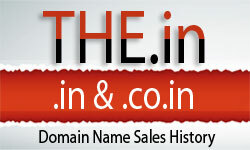 Domain name nostalgia: A look back at the domain name industry ten years ago this month.